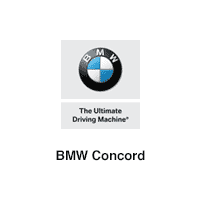 At BMW Concord, we have a team of certified technicians on hand to handle all kinds of auto repair, as well as an auto body shop where we specialize in all kinds auto body repairs, including car paint jobs, dent repair, detailing, and much more. And if you’ve been in a collision, we have an expert team that can realign your steering system, and we have a full stock of BMW OEM parts in stock in case yours need to be replaced. Count on us for all your car repair needs near Lafayette, and stop by to see us today! Since 2007, BMW Concord’s BMW Collision Repair center has been serving drivers throughout greater Walnut Creek with high-quality auto body repairs in our 16,000 square foot facility that has has two state-of-the-art paint booths (one which can handle two cars simultaneously), and 5 Cellete frame-benches for structural repairs. In addition, we also use the BMW ColorSystem, the branded, eco-friendly and comprehensive refinishing system that includes cavity waxes and undercoatings. This large facility ensures that BMW Concord Certified Collision Center is your one-stop shop for all your BMW Collision needs from OEM Windshield repair to the most extensive collision repair. We work alongside our tire center and service center technicians to bring your BMW back to pristine condition. So stop by for all your collision and car repair needs today at our dealership in Concord, and make sure to take a look at our current list of service specials before your visit! Trust BMW Concord Certified Collision Center.